Southern Clean uses state of the art, sophisticated equipment that are designed to evenly and quickly clean brick and concrete surfaces. We have been fighting grime and dirt for over 15 years. 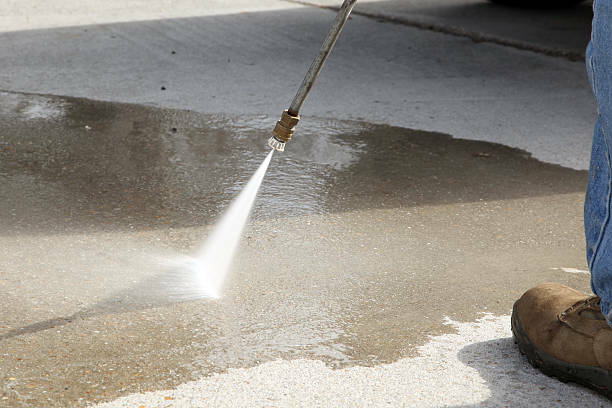 Situated in the heart of Kansas City, our fantastic pressure process does a better job of concrete sealing and concrete cleaning. Thanks to our well-trained professionals that transforms your patio and driveway from an eyesore to a fascinating place. Why not message or call us today to have your concrete area sparkling clean. Pressure washing concrete is more complicated than it looks. And if care is not taking, leaving your concrete in the hands of unseasoned employees can cause unrepairable damage to your valuable asset. Wrong pressure application and wrong spraying can further complicate your concrete stain and, at worst, make it crack. That’s where we come in. At Southern Clean, we handle concrete cleaning with attention and precision. We avoid dangerous chemicals like caustic soda and damaging pressure levels that further stains and damage the cement. We carefully manage the concrete surface, leaving it sparkling clean and in the best shape possible. We concrete clean Kansas City homes, commercial businesses with winning power washing, superior cleansers, time-tested expertise, and professional equipment to eliminate dirt and grime. You may add more if you have. There isn’t a job out there that Southern Clean can’t handle. Talk of theme parks, parking facilities, hospitals, and so many other commercial businesses in Kansas City. In addition to removing debris and dirt from your concrete surface to increase the aesthetic value of your property, we also shield your valuable asset from the destruction caused by algae, mold, mildew, and other dangerous contaminants. We handle all aspects of outdoor surface cleaning, from commercial roofing, bricks, and concrete. Remember, your property says a lot about your business. Why not get in touch with us today to help you attract and keep your business flourishing with a great looking surrounding.